Izakaya has been around for a very long time in Japan and is a favorite hangout place for people who love to drink alcoholic drinks. Today, many izakayas still retain their traditional dishes and drinks; but opted to be more flexible when it comes to introducing new items on their menu. After a long day of work, people stop at these places to enjoy a few glasses of beer, sake or wine, before going home. They are also ideal places to celebrate events or special occasions. Food is ordered slowly instead of having them all at once. This is how things usually go in an izakaya, and many Japanese prefer this type of casual drinking. Below are the recommended Izakayas in Shibuya area in case you choose to enjoy drinks in the town! Torichiku can get very crowded both lunch time and dinner time. Their yakitori (grilled chicken) is very popular, and most of their customers specifically visit this izakaya just to taste this popular dish. 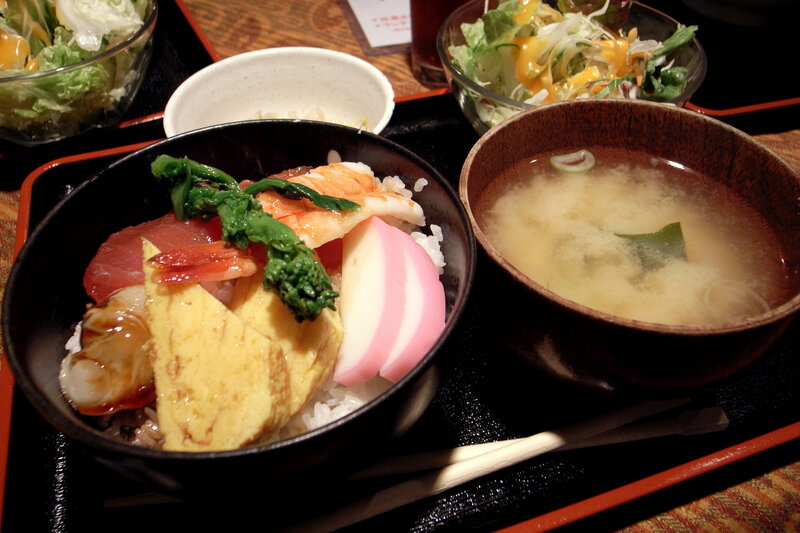 Aside from yakitori, they also have unagi and other side dishes on their menu. Uoshin is the place to visit if you are looking for affordable and delicious sashimi. Aside from their highly recommended seafood dishes, they also have a good collection of sake. It is advisable to make a reservation if you’re planning to visit as a group. Nakano is an interesting place. Once you enter its doors, you’ll hear some music playing in the background. A cozy and friendly ambiance excludes in its interiors which makes you feel very comfortable. Their seafood dishes along with a glass of beer will make your visit worth it. Utagawa Shisen is just a 5-minute walk from Shibuya Station. The interior design gives a good first impression. The modern and fashionable layout of the izakaya creates a good ambiance that enhances the mood of anyone who enters its doors. A great place to enjoy delicious food with family and friends. Sagoemon is another great yakitori and skewers specialized Izakaya in Shibuya. Their skewers vary from different parts of chicken (some of them are pretty rare) to pork and wagyu beef. They also offer various small side dishes, too. If you plan to eat yakitori-don for lunch at Sagoemon, you need to arrive “very early”. Why? Believe it or not, their yakitori-don gets sold out very fast. It seems that people really enjoy their special grilled chicken and kushiyaki, so make sure to be at least an hour early before lunch. Unosato is your traditional Japanese Izakaya that has been around for a long time. Their well-received seafood and seasonal vegetables are their strong point. You get to feast on delicious sashimi and their popular lotus root stuffed with deep fried shrimp meat. Maishin has an impressive collection of sake that is inspired by the sake specialist Noriharu Nozaki. Their seafood specialties like sashimi are good enough for two people. Adding a few appetizers and a cup of sake before the main course increases your appetite and will make your time worth your while. Honjin is well known for their Motsu Nabe, the specialty of Hakata in Kyushu Region, especially when the weather is cold. Their dishes are very affordable, and the cozy atmosphere is quite good as well. Maguro Dokoro as the name suggests specializes in seafood and tuna dishes. Their assorted sashimi dishes have both quality and quantity. The presentation is also very pleasing to the eye and whets your appetite even more. First-time guests of Bar Katsu often have trouble in locating this elusive bar. What makes this shop interesting is that they have many local wines that can be purchased at their “retail price” + 999 yen. Surprisingly, their organic vegetable dishes are quite popular with the locals and foreigners alike.